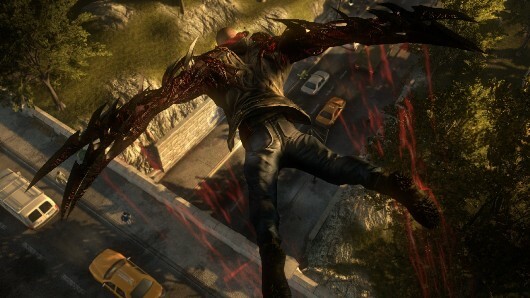 The very recent Prototype 2 enjoys a deep discount on Amazon today, as the all-day component to the retailer's Gold Box offers. It's on sale for $29.99, and will be joined by a new, temporary deal every couple of hours. Currently, that deal is the Wii's Cyberbike, which is, yes, an exercise bike that hooks up to the Wii. Thrifty Nerd's Googling of the clues for future sales suggest we'll see discounts on Final Fantasy XIII-2, WoW: Cataclysm, the Disgaea 4 Premium Edition, and even the SoulCalibur V Arcade Fightstick. One of the really cool things about the Nintendo Wii when it was first introduced was the ability to play GameCube games on it. This made it a no-brainer for a lot of folks to upgrade. But as the heyday of legacy systems fades into history, Nintendo decided this was no longer a selling point and stopped populating those components. The good new is, if you don’t mind a lot of PCB soldering you can add your GameCube bits to a modern Wii motherboard. [Deadlyfoez] launched a raffle to raise enough money to buy a new version of the hardware (we guess the raffle prize is the modded console). He then proceeded to solder on four GameCube controller ports and a memory card reader. There are also a number of passive surface mount components that need to be added. But as the video after the break shows, once in place the functionality reappears on the software side. Organizers for the annual Prince of Asturias Awards have bestowed recognition to an unlikely recipient for works in scientific, technical, cultural, social and humanistic works: Nintendo designer and Mario creator Shigeru Miyamoto. Miyamoto has been recognized for his creation of several of the most well recognized characters in gaming as well as mainstream culture. His award will be in the "Communications and Humanities" category. The award, which has been earned by such organizations as CNN and Google, as well as author Umberto Eco, is celebrating Miyamoto's commitment to game creation with a family and creative twist. The Awards organizers recognized that games such as Zelda, Mario and Donkey Kong have been designed not simply to create a positive gaming environment, but that Miyamoto was "the main architect of the revolution in teaching, educational and constructive video games." For his contribution to gaming and the world abroad, Miyamoto will receive a diploma with the Prince of Asturias Foundation's coat of arms, as well as a sculpture and cash prize of €50,000 ($63,215). The Super Famicom Classic Controller for Wii remains out of reach for everyone but Japanese Club Nintendo members (and eBay users, of course), but ThinkGeek is stocking a very close facsimile for $20. 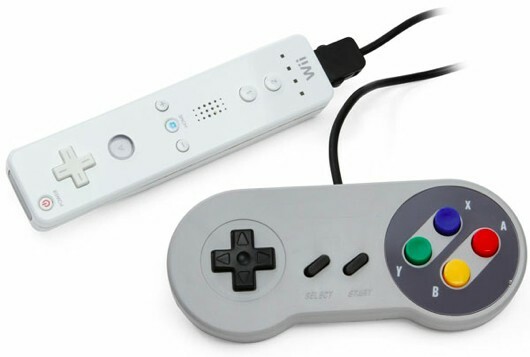 In fact, the Classic Super Famicom Controller for Wii is functionally identical to the Club Nintendo version. It plugs into your Wii Remote and lets you play Virtual Console games (or anything else that supports Classic Controller use and doesn't require analog sticks) with a controller designed to replicate the SNES pad. It even has the colorful face buttons of the Japanese controller. Right now seems like a questionable time to buy a Wii accessory, but you'd already be using it to play old games. The impending obsolescence of the Wii isn't necessarily a deal breaker. Besides, the Wii U uses Wii Remotes; a Classic Controller might come in handy with that as well. Think the Wii has the market cornered on gaming rehab? Think again -- neuroscientists at Newcastle University are developing a series of motion controlled video games to make stroke rehab more fun and accessible. The team's first title, dubbed Circus Challenge, lets patients digitally throw pies, tame lions and juggle to help them build strength and regain motor skills. As players progress, the game ratchets up its difficulty, presumably to match pace with their recovery. Although Limbs Alive, the game's publisher, has only described their motion controller as "next-generation," it affirms that the game will be playable on PCs, laptops and tablets later this year. In an effort to lower costs and provide at-home therapy, the team hopes to leverage a £1.5 million award from the UK's Health Innovation Challenge Fund to build a system that will allow therapists to monitor patient progress remotely. The whole enchilada still needs some time to bake, but you can hit the break for a video and the full press release. Online only UK retailer GameStop has slashed the price of pre-owned consoles on its website. As a result a second hand Xbox 360 Slim 250GB machine can be had for just £129.97 – that’s a £70 saving over its new price. A pre-owned PS3 Slim 250GB has been cut to £189.97, with the 320GB version available for £199.97. And second hand Nintendo Wii’s are priced at just £49.97 – that's £70 less than a new machine. All consoles come with a one-year warranty and one month’s free Xbox Live Gold membership, as well as special GameStop specific packaging. EA has outlined the ways in which it intends to build upon the fantastic success of FIFA 12 with the freshly announced FIFA 13. The game will deliver what EA describes as “the most sophisticated artificial intelligence ever achieved for the FIFA franchise”, with tech being shared between both the PC and console versions. Players are now programmed to think two plays ahead and are able to alter or curve their runs to make the most of potential chances. They will also deliberately pull defenders out of position to free up space for runs from teammates. Furthermore, none other than Lionel Messi is the inspiration behind “the most comprehensive and intuitive dribbling system ever developed”. Players will change direction faster with precise dribble touches and “true 360° mobility”. 1st Touch Controls have also been introduced, meaning that every player will no longer be graced with Matthew Le Tissier-like control when receiving the ball. Instead, a player’s touch will be dictated by their skill level “creating variety and uncertainty around ball control”. Defensive pressure and the ball’s velocity and trajectory all now play a part in how well a pass will be received, opening up the game for defensive players. The Player Impact Engine has also entered its second generation, while a brand new Tactical Free Kick system has also been introduced that allows for up to three players to use dummy runs to create more elaborate set pieces. Defensively this makes a difference, too, with the opposing team able to creep the wall forward or select one player to charge the ball. There are a host of improvements to career mode, too, while the EA Sports Football Club will play a bigger part than ever. Plus, the total number of licensed teams now exceeds 500. FIFA 13 will be released on Xbox 360, PS3, Vita, Wii, PS2, 3DS, PSP and iOS. Interestingly, some sort of compatibility is also promised for Kienct and Move owners. “We are perfecting the best sports game in the world with innovations that capture all the drama and unpredictability of real-world football,” FIFA 13’s executive producer David Rutter stated. 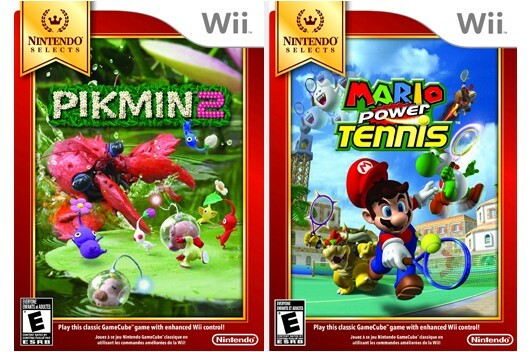 Despite never having been released for Wii in North America, the Wii's "New Play Control" version of Pikmin 2 will be released as part of the "Nintendo Selects" line June 10, alongside fellow GameCube port Mario Power Tennis. Rather than question the logistics of a budget re-release of a game that was never released in the first place, we'll celebrate the $19.99 price point under which it's coming out. Also joining the Nintendo Selects line are two bona fide Wii games, Super Smash Bros. Brawl and the excellent Donkey Kong Country Returns, at $30 each. It's about (two years past) time for Brawl to be made cheaper, though it's unusual that these two games will sell for $10 above the normal Nintendo Selects price. Over a third of Pokémon players are female, according to a new GameVision Brand Map report. 39 per cent of all players of Nintendo's huge franchise are female, which is higher than the average game (31 per cent). Males aged 15 to 19 comprise a further 13 per cent of the market. This week we take a look at the GameVision Brand Map for Pokémon. We asked 6,789 gamers about this franchise. 1,275 had played a Pokémon game within the last six months and we asked 500 of these to tell us about the brand in detail. The Pokémon IP is most enjoyed because of the ‘tricks and skills’ required, with 35 per cent of gamers saying this was their most preferred game aspect. The level of ‘involvement in the story’ was enjoyed by 29 per cent of those who have experienced the brand, while ‘short play periods’ and ‘explore and discover’ were each enjoyed by 26 and 25 per cent of gamers respectively. Currently play rates are highest amongst Italian gamers, with 22 per cent playing. 60 per cent of players in Europe are under the age of 20, compared to 46 per cent for the average game. 10 to 14 year-old males make up the largest market and 23 per cent of Pokémon players. Pokémon fans also enjoy other Nintendo titles. The most played games amongst Pokémon consumers are Wii Sports (69 per cent), Mario Kart (64 per cent) and Super Mario Bros (59 per cent). Although the Pokémon franchise is perhaps best known for its competitive gameplay, the enjoyment derived from the non-violent aspects of the game may help explain why it has a higher-than-average volume of female players compared to male players.